Vassar College (/ˈvæsər/ VASS-ər) is a private, coeducational, liberal arts college in the town of Poughkeepsie, New York. Founded in 1861 by Matthew Vassar, it was the second degree-granting institution of higher education for women in the United States, closely following Elmira College (Elmira, New York - founded in 1855). It became coeducational in 1969, and now has a gender ratio at the national average. The school is one of the historic Seven Sisters, the first elite female colleges in the U.S., and has a historic relationship with Yale University, which suggested a merger with the college before coeducation at both institutions. The college offers B.A. degrees in more than 50 majors and features a flexible curriculum designed to promote a breadth of studies. Student groups at the college include theater and comedy organizations, acappella groups, club sports teams, volunteer and service groups, and a circus troupe. Vassar College's varsity sports teams, known as the Brewers, play in the NCAA's Division III as members of the Liberty League. Vassar tied for the 11th best liberal arts college in the nation in the 2018 annual ranking of U.S. News & World Report, with admissions described as "most selective". For the freshman class entering fall 2017, the college had an acceptance rate of 22.8%. The total number of students attending the college is around 2,450. The Vassar campus comprises over 1,000 acres (400 ha) and more than 100 buildings, including two National Historic Landmarks and an additional National Historic Place. A designated arboretum, the campus features more than 200 species of trees, a native plant preserve, and a 530-acre (210 ha) ecological preserve. Vassar was founded as a women's school under the name Vassar Female College in 1861. Its first president was Milo P. Jewett; he led a staff of ten professors and twenty-one instructors. But after only a year, its founder, Matthew Vassar, had the word Female cut from the name, prompting some residents of the town of Poughkeepsie, New York to quip that its founder believed it might one day admit male students. The college became coeducational in 1969. Vassar was the second of the Seven Sisters colleges, higher education schools that were formerly strictly for women, and historically sister institutions to the Ivy League. It was chartered by its namesake, brewer Matthew Vassar, in 1861 in the Hudson Valley, about 70 miles (110 km) north of New York City. The first person appointed to the Vassar faculty was the astronomer Maria Mitchell, in 1865. Vassar adopted coeducation in 1969. However, immediately following World War II, Vassar accepted a very small number of male students on the G.I. Bill. Because Vassar's charter prohibited male matriculants, the graduates were given diplomas via the University of the State of New York. These were reissued under the Vassar title after the school formally became co-educational. The formal decision to become co-ed came after its trustees declined an offer to merge with Yale University, its sibling institution, in the wave of mergers between the historically all-male colleges of the Ivy League and their Seven Sisters counterparts. Main Building, built in 1861 by architect James Renwick, Jr., had the most interior space of any building in the United States, until the U.S. Capitol was completed in 1868. In its early years, Vassar was associated with the social elite of the Protestant establishment. E. Digby Baltzell writes that "upper-class WASP families educated their children at colleges such as Harvard, Princeton, Yale, and Vassar." A select and elite few of Vassar's students were allowed entry into the school's secret society Delta Sigma Rho, started in 1922. Before becoming President of the United States, Franklin Delano Roosevelt was a Trustee. Roughly 2,450 students attend Vassar, and 98% live on campus. About 60% come from public high schools, and 40% come from private schools (both independent and religious). Vassar is currently 56% women and 44% men, at national average for national liberal arts colleges. Students are taught by more than 336 faculty members, virtually all holding the doctorate degree or its equivalent. The student-faculty ratio is 8:1, average class size, 17. Vassar president Frances D. Fergusson served for two decades. She retired in the spring of 2006, and was succeeded by Catharine Bond Hill, former provost at Williams College, who served for 10 years until she departed in 2016. Hill was replaced by Elizabeth Howe Bradley in 2017. The Vassar College Observatory is one of two National Historic Landmarks on the college's campus, along with Main Building. Vassar's campus, also an arboretum, is 1,000 acres (400 ha) and has more than 100 buildings, ranging in style from Collegiate Gothic to International, with several buildings of architectural interest. At the center of campus stands Main Building, one of the best examples of Second Empire architecture in the United States. When it was opened, Main Building was the largest building in the U.S. in terms of floor space. It formerly housed the entire college, including classrooms, dormitories, museum, library, and dining halls. The building was designed by Smithsonian architect James Renwick Jr. and was completed in 1865. It was preceded on campus by the original observatory. Both buildings are National Historic Landmarks. Rombout House was purchased by the college in 1915 and added to the National Register of Historic Places in 1982. Many original brick buildings are scattered throughout the campus, but there are also several modern and contemporary structures of architectural interest. Ferry House, a student cooperative, was designed by Marcel Breuer in 1951. Noyes House was designed by Finnish-American architect Eero Saarinen. A good example of an attempt to use passive solar design can be seen in the Seeley G. Mudd Chemistry Building by Perry Dean Rogers. More recently, New Haven architect César Pelli was asked to design the Lehman Loeb Art Center, which was completed in the early 1990s. In 2003, Pelli also worked on the renovation of Main Building Lobby and the conversion of the Avery Hall theater into the $25 million Vogelstein Center for Drama and Film, which preserved the original 1860s facade but was an entirely new structure. Vassar is home to one of the largest undergraduate library collections in the U.S. The library collection today – which actually encompasses eight libraries at Vassar – contains about 1 million volumes and 7,500 serial, periodical and newspaper titles, as well as an extensive collection of microfilm and microfiche, with special collections of Ellen Swallow Richards, Albert Einstein, Mary McCarthy, and Elizabeth Bishop. Vassar has been a Federal Depository library for selected U.S. Government documents since 1943 and currently receives approximately 25% of the titles available through the Federal Depository Program. Since 1988, Vassar has been a New York State Reference Center, part of the New York Depository Program. The library also selectively purchases United Nations documents. Vassar College was the first college in the United States to be founded with a full-scale museum as part of its original plan. Matthew Vassar was known for declaring that "art should stand boldly forth as an educational force". The art collection at Vassar dates to the founding of the College, when Vassar provided an extensive collection of Hudson River School paintings to be displayed in the Main Building. Referred to as the Magoon Collection, it continues to be one of the best in the nation for Hudson River School paintings. One of the largest U.S. college or university art museums, the Frances Lehman Loeb Gallery displays a selection of Vassar's 18,000 articles of art in the building designed by Cesar Pelli. Today, the gallery's collection displays art from the ancient world up through contemporary works. The collection includes work by European masters such as Brueghel, Gustave Doré, Picasso, Balthus, Bacon, Vuillard, Cézanne, Braque and Bonnard, as well as examples from leading twentieth-century American painters Jackson Pollock, Agnes Martin, Mark Rothko, Marsden Hartley, Georgia O'Keeffe, Charles Sheeler, and Ben Shahn. The Loeb's works on paper represent a major collection in the United States, with prints by Rembrandt (including important impressions of the Hundred Guilder Print and the Three Trees) and Dürer as well as photographs by Cindy Sherman, Diane Arbus, and others. Students at the college can act as liaisons between the art center and the wider college community through work on the Student Committee of the Frances Lehman Loeb Art Center, to which incoming freshmen can apply. In 2011, Vassar embarked on a $120 million project to improve science facilities at the college, centering on the construction of a new $90 million Bridge for Laboratory Sciences. The project will include renovations of Olmsted Hall of Biological Sciences, New England Building and Sanders Physics Building as well as the construction of a new Integrated Science Center, a bridge building that will connect to Olmsted Hall and cross over the Fonteyn Kill. It is intended both to modernize and to support a collaborative and cross-disciplinary science community. The bridge building was completed January 2016. Vassar confers a Bachelor of Arts (BA) degree in more than 50 majors, including the Independent Major, in which a student may design a major, as well as various interdisciplinary and multidisciplinary fields of study. Students also participate in such programs as the Self-Instructional Language Program (SILP) which offers courses in Hindi, Irish/Gaelic, Korean, Portuguese, Swahili, Swedish, Turkish, and Yiddish. Vassar has a flexible curriculum intended to promote breadth in studies. While each field of study has specific requirements for majors, the only universal requirements for graduation are proficiency in a foreign language, a quantitative course, and a freshman writing course. Students are also encouraged to study abroad, which they typically do during one or two semesters of their junior year. Students (usually juniors) may apply for a year or a semester away either in the U.S. or abroad. Vassar sponsors programs in China, England, France, Germany, Greece, Ireland, Italy, Turkey, Mexico, Morocco, Spain, and Russia; students may also join preapproved programs offered by other colleges. Students may also apply for approved programs at various U.S. institutions, including the historically Black colleges and members of the Twelve College Exchange. All classes are taught by members of the faculty, and there are no graduate students or teachers' assistants. The most popular majors, in terms of sheer numbers, are English, political science, psychology, economics and biology. Vassar also offers a variety of correlate sequences, or minors, for intensive study in many disciplines. The 2018 annual ranking of U.S. News & World Report categorizes Vassar as 'most selective' and rates it tied for the 11th best liberal arts college in the nation, 1st for "Best Colleges for Veterans" and 7th for "Best Value". Vassar tied for 9th in that same publication's High School Counselor Rankings, which asks a nationwide sampling of high school counselors to rank which schools they think offer the best education to their students. It also ranked Vassar 2nd (tied with Amherst College) among top colleges for highest economic diversity as measured by low-income students receiving federal Pell Grants. In its 2013 edition, The Princeton Review gave Vassar an admissions selectivity rating of 98 out of 99 and an academic rating of 97. In its 2014 list of private colleges and universities in terms of best value, The Princeton Review ranked Vassar 7th. In 2016, Forbes rated Vassar 33rd overall in its America's Top Colleges ranking, which includes 650 military academies, national universities, and liberal arts colleges and 15th among liberal arts colleges. Kiplinger's Personal Finance places Vassar 8th in its 2018 ranking of best value liberal arts colleges in the United States.In its survey of the 101 Smartest Liberal Arts Colleges in America, based on the average SAT scores of students, Business Insider ranked Vassar 10th in the nation. Vassar was ranked by Newsweek in 2011 as the 25th best school in the nation for the most highly decorated students (as measured by the success of alumni in winning Rhodes, Marshall, Truman, Gates-Cambridge, and Fulbright Scholarships) and 13th among national liberal arts colleges, and as 10th in the nation for schools offering an exceptional artistic atmosphere (4th among liberal arts colleges). In an article in The Christian Science Monitor, Vassar president emeritus Catharine Bond Hill argued that rankings "will always be limited in what they can tell consumers. Part of higher education's role about the rankings should be to remind students and their families that these are only one piece of information that they should take into account in deciding where to go to college. Intangibles will and should play a role in these decisions, but that doesn't mean we shouldn't also look at the tangibles". Over half of Vassar graduates intend to pursue advanced study within five years of graduation including about one fifth immediately post-graduation. Of the seniors who applied to medical school, 76% were accepted; to law school, 86% were accepted. Vassar offers a database of well over 30,000 alumnae/i where students may seek career advice and opportunities. Numerous graduates of the college have earned distinction in their fields, garnering Academy, Emmy, Tony, Peabody and Golden Globe awards for work on stage and in film and television, MacArthur Fellowships ("genius grants") for innovation in fields including astrophysics, epidemiology, and medicine, Pulitzer Prize recognition for contributions to American literature, poetry, and investigative reporting, as well as the Presidential Medal of Freedom and National Medal of Science for achievements in astronomy, computer science, and drama. Founder's Day is an annual campus festival at Vassar College that usually takes place in late April or early May. It started as a surprise birthday party for college founder Matthew Vassar's seventy-fourth birthday and evolved into an annual celebration. Originally, Founder's Day was a spontaneous event consisting of lectures, but was soon replaced with plays, pageants, and more recreational activities. Circus and fair activities followed, with the eventual addition of the modern day music events over the course of two days. More recently themes have been added, including Alice in Wonderland, Dinosaurs, Vintage 1800s Vassar, Nickelodeon, Nintendo, and Candyland. Recent artists at Founder's Day have included The Walkmen, Edan, DJ /rupture, Odd Nosdam, Jel, Toro y Moi, and Odesza. The Night Owls, established in the 1940s, are, as of 2017, one of the oldest extant collegiate a cappella groups in the United States, and one of nine vocal music groups at Vassar. Other groups include the Vastards (specializing in the music of the 2000s), Broadway and More (BAM; showtunes), the Accidentals (the Axies; the sole all-men's a cappella group at Vassar), Beauty and the Beats (focusing on music from Disney movies), Home Brewed (formerly Matthew's Minstrels, the college's first mixed-gender a cappella group), the Vassar Devils, Measure 4 Measure (both themeless groups), and AirCappella (an all-whistling ensemble). Some a cappella groups tour and compete, including the Vassar Devils, who competed in the 2015 International Championship of Collegiate A Cappella. The Philaletheis Society, which was founded in 1865 as a literary society, is the oldest theater group on campus. It has now become a completely student run theater group. Others include Unbound (experimental theater), Woodshed (a troupe focused on devised theater), and Idlewild (an all-female ensemble). Britomartis, Vassar's only theater group exclusively creating devised theater, was founded in 2011. Further groups include the Future Waitstaff of America (for musical theater), Ebony Theatre Ensemble (focusing on Black theater), and two Shakespeare-specific troupes, Shakespeare Troupe and Merely Players. Performances happen throughout campus including in the Susan Stein Shiva Theater, an all-student-run black box theater. The college also hosts the Powerhouse Summer Theater workshop series. Happily Ever Laughter ("HEL") is the college's oldest active sketch comedy group, founded in 1993.Another Comedy Group, No Offense, which was started by two former members of an earlier group called Laughingstock (which was derecognized by the VSA in March 2000 as a result of a controversial skit), was started in September 2000. Another sketch comedy group The Limit was started a few years later.Indecent Exposure, an all-women's troupe performing both sketch and stand-up comedy, was founded in 2004. Comedynormative, which began in 2009, performs exclusively stand-up comedy. Vassar has three improv comedy groups: Vassar College Vassar Improv (VCVI), Committed, and Casual Improv. The Miscellany News has been the weekly paper of the college since 1866, making it one of the oldest college weeklies in the United States. It is available for free most Thursdays when school is in session. In 2008–09, it became one of the only college newspapers in the country to begin updating its website daily. In March 2016, in a 15-2 vote, the Vassar Student Association (VSA) passed a resolution calling for the support of the Boycott, Divestment and Sanctions movement and the boycott of Israel. In April 2016, the BDS resolution went to a school-wide referendum, where it was defeated 573-503. Vassar teams, known as the Brewers, compete in Division III of the NCAA, as a member of the Liberty League. The nickname originates from the college's founder and namesake Matthew Vassar, whose family ran a brewery in Poughkeepsie and would later amass a sizable fortune in the industry. 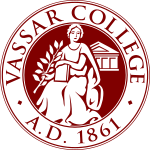 Vassar College currently offers the following varsity athletics: basketball, baseball, cross-country, fencing, field hockey (women only), golf (women only), lacrosse, rowing, rugby, soccer, squash, swimming/diving, tennis, track, and volleyball. Club sports include Ultimate (Open, Mixed and women's), ski team (competes in USCSA) , equestrian team (competes in IHSA), polo team (USPA), cycling team (competes in ECCC), Quidditch, and co-ed U.S. Figure Skating synchronized skating team. In 2018, the Vassar women's rugby team won the school's first national championship, beating Winona State 50-13 in the final of the USA Rugby Women's Division 2. In 2008, the Vassar men's volleyball team made the school's first appearance in a national championship game, beating UC Santa Cruz 3–0 in the semifinal before falling to Springfield in the championship game. Notable Vassar alumni include: notable feminist and Classics scholar Elizabeth Hazleton Haight (1894), their first graduate of African ancestry Anita Florence Hemmings (1897), notable education and prison reform advocate Julia Tutwiler, the first female Electrical Engineer Edith Clarke (1908), founder of the United Service Organizations (USO) Mary Ingraham (1908), artist Ruth Starr Rose (1910), poet Edna St. Vincent Millay (1917), computer pioneer Grace Hopper (1928), critic and novelist Mary McCarthy (1933), poet Elizabeth Bishop (1934), physician Beatrix Hamburg (1944), astrophysicist Vera Rubin (1948), Art Historian Linda Nochlin (1951), member of FORTRAN development team Lois Haibt (1955), politician and activist Frances Farenthold, Zagat Survey co-founder Nina Zagat (1963), physician and National Institutes of Health director Bernadine P. Healy (1965), feminist and abortion rights activist Lucinda Cisler(1965), Nickelodeon President and Oxygen Media founder and CEO Geraldine Laybourne (1969), Emmy award-winning executive producer of Masterpiece on PBS Rebecca Eaton (1969), three-time Academy Award winner actress Meryl Streep (1971), Pulitzer Prize-winning fiction writer Jane Smiley (1971), author and journalist Michael Wolff (1975), Neuroscientist and Director of Johns Hopkins Medicine Brain Science Institute Richard L. Huganir (1975), CBS News Chief White House Correspondent Chip Reid (1977), former World Bank CFO and Undersecretary of the Treasury for Domestic Finance Jeffrey Goldstein (1977), The New Yorker magazine science writer Michael Specter (1977), Cooper Union President Jamshed Bharucha (1978), MSNBC President Phil Griffin (1979), astrophysicist and MacArthur Award Fellow John Carlstrom (1981), President of Lawrence University of Wisconsin Mark Burstein (1984), actress Lisa Kudrow (1985), actress Hope Davis (1986), journalist Evan Wright (1988), ABC News Chief White House Correspondent Jonathan Karl (1990), physician and MacArthur Award Fellow Jeffrey Brenner (1990), Banana Republic CEO and President Mark Breitbard (1990), writer-director Noah Baumbach (1991), film and television producer Jason Blum (1991), Flickr founder Caterina Fake (1991), Shine Limited CEO and Chairman Elisabeth Murdoch (1992), author Jon Fisher (1994), novelist Katherine Center (1994), novelist Joe Hill (1995), Emmy Award-winning comedy writer-producer Jessi Klein (1997), Pulitzer Prize-winning journalist and Wall Street Journal reporter Alexandra Berzon (2001), musician and songwriter Victoria Legrand (2003), screenwriter and director Jonás Cuarón (2005), winner of RuPaul's Drag Race Season 9 Sasha Velour (2009), actress Lilli Cooper (2012), Tony Award-nominated actor Ethan Slater (2014), and runner-up of Big Brother 18 (UK) Raph Korine (2017). Notable attendees who did not graduate from Vassar include professional chef and television personality Anthony Bourdain, First Lady Jacqueline Kennedy Onassis, Washington Post publisher Katharine Graham, president of the Ford Foundation Susan Berresford, actresses Jane Fonda and Anne Hathaway, actor Justin Long, member of the Beastie Boys Mike D, Oscar-winning musician Mark Ronson, musician Rachael Yamagata, and writer Curtis Sittenfeld. Notable Vassar faculty include pioneering female astronomer Maria Mitchell, computer scientist Grace Hopper, Classicist Grace Macurdy, writer Paul Russell, composer Richard Edward Wilson, philosophers Uma Narayan, Mitchell Miller, and Bryan W. Van Norden, historian James Merrell, political scientist Peter Stillman, writers Hua Hsu, Nancy Willard, and Frank Bergon. Victoria Legrand, lead vocalist, songwriter and keyboardist of Beach House. Catharine Bond Hill served as college president from 2006–2016. ^ a b c Honan, William H. (May 14, 2000). "Three Decades of Men at Vassar". The New York Times. Retrieved March 25, 2015. ^ As of June 30, 2018. KPMG LLP (November 5, 2018). "Vassar College Financial Statements" (PDF). Vassar College. p. 15. Archived from the original (PDF) on November 5, 2018. Retrieved November 5, 2018. ^ a b c d e f g h i "About Vassar". Vassar College. Retrieved February 5, 2015. ^ "Vassar College Traditions - Vassar College Encyclopedia". Retrieved April 20, 2010. ^ "Athletic Communications". Office of Athletic Communications. Vassar College. March 26, 2009. Retrieved April 26, 2017. ^ O'Connor, Acacia (October 8, 2004). "Vassar mascot suits school's spirit". The Miscellany News. Retrieved February 5, 2015. ^ "History - Vassar Info - Vassar College". info.vassar.edu. ^ Winum, Jessica (Fall 2000). "Vassar's Vets: Forgotten Grads". Vassar, the Alumnae/i Quarterly. Archived from the original on December 1, 2008. Retrieved March 25, 2015. ^ "The Vassar-Yale Study". Vassar College Encyclopedia. Vassar College. 2007. Retrieved October 10, 2011. ^ a b "Main Building". Vassar College Encyclopedia. Vassar College. 2005. Retrieved September 7, 2013. ^ "Branch of secret society at Vassar". Vassar Miscellany News. May 13, 1922. Retrieved January 27, 2017. ^ "Franklin Delano Roosevelt: Local Trustee". Vassar College Encyclopedia. Vassar College. Retrieved August 11, 2007. ^ a b "Prospective Students FAQ". Admissions. Vassar College. Retrieved March 25, 2015. ^ Brant, Abbott (January 11, 2017). "Vassar College elects Elizabeth Howe Bradley president". The Poughkeepsie Journal. Retrieved January 11, 2017. ^ Radulski, John Peter (August 2004). "Frances Daley Fergusson: Creating a campus that inspires". Architectural Record. Retrieved August 11, 2007. ^ "National Historic Landmarks Program". National Park Service. Retrieved June 12, 2009. ^ Sharp, Townley McElhiney (August 1980). "National Register of Historic Places Registration: Rombout House". New York State Office of Parks, Recreation and Historic Preservation. Archived from the original on October 18, 2012. Retrieved January 8, 2011. ^ National Park Service (March 13, 2009). "National Register Information System". National Register of Historic Places. National Park Service. Retrieved March 25, 2015. ^ "Vassar College". US News & World Report. Retrieved September 7, 2013. ^ "Academic Libraries Reference". FindtheBest. National Center for Education Statistics. Archived from the original on August 19, 2013. Retrieved September 7, 2013. ^ "FDLD Profile Details". Catalog of U.S. Government Publications. Government Printing Office. Archived from the original on November 26, 2008. Retrieved March 25, 2015. ^ Farkas, Brian (March 27, 2008). "Renovations to make Art Library a work of art, history". The Miscellany News. Retrieved March 29, 2008. ^ Gopalakrishnan, Sasha (November 9, 2016). "Loeb opens new photo gallery". The Miscellany News. Retrieved November 28, 2016. ^ Morgan, Jamie. "Vassar College – Integrated Science Center". Construction Today. Retrieved March 25, 2015. ^ Herts, Julianne (February 28, 2008). "Res Life: No singles for sophomores". The Miscellany News. Retrieved March 28, 2008. ^ Benan, Kevin (October 6, 2011). "Dorm Updates Continue on Basis of Need". The Miscellany News. Retrieved March 25, 2015. ^ a b c d "Vassar College Class of 2021 Statistics". Vassar College Office of Admission. August 2017. ^ "Vassar College Common Data Set 2015-2016, Part C". Vassar College. ^ "Vassar College Common Data Set 2014-2015, Part C". Vassar College. ^ "Vassar College Common Data Set 2013-2014, Part C" (PDF). Vassar College. ^ "Vassar College Common Data Set 2012-2013, Part C". Vassar College. ^ "Best Colleges 2019: National Liberal Arts Colleges Rankings". U.S. News & World Report. November 19, 2018. ^ "2018 Rankings - National Universities - Liberal Arts". Washington Monthly. Retrieved November 19, 2018. ^ "Vassar College: U.S. News Best Colleges Rankings". U.S. News & World Report. 2018. Retrieved September 11, 2018. ^ "Economic Diversity Among the Top 25 Ranked Schools: National Liberal Arts Colleges". U.S. News & World Report. Retrieved February 22, 2016. ^ "College Rankings". The Princeton Review. 2013. Retrieved March 25, 2015. ^ "Top 10 Best Value Colleges in 2014". USA Today. January 28, 2014. Retrieved February 3, 2014. ^ "America's Top Colleges". Forbes. July 5, 2016. ^ "Kiplinger's Best College Values: College Rankings, 2018". Kiplinger's Personal Finance. December 2017. ^ Wai, Jonathan; Goudreau, Jenna. "The 101 smartest liberal arts colleges in America". Business Insider. ^ "America's 25 Brainiac Schools". Newsweek/The Daily Beast. Retrieved April 19, 2013. ^ "Artistic Students". Newsweek/The Daily Beast. Retrieved April 19, 2013. ^ Hill, Catharine Bond (July 19, 2007). "A better way to rank America's colleges". The Christian Science Monitor. Retrieved September 7, 2013. ^ a b "After Vassar". Admissions. Vassar College. Retrieved March 25, 2015. ^ "Founder's Day". Vassar College Encyclopedia. Vassar College. Retrieved March 25, 2015. ^ Smith, Stephanie (April 10, 1998). "Founder's Day features Alice in Wonderland". The Miscellany News. Retrieved March 25, 2015. ^ "Vassar Student Association Council Agenda for January 26, 2014" (PDF). Vassar Student Association. January 26, 2014. Retrieved March 25, 2015. ^ a b Clevenger, Caitlin (February 10, 2011). "Founder's Day Theme Announced". The Miscellany News. Retrieved March 25, 2015. ^ Bock, Matthew (April 22, 2010). "Brief history of a day that's all too brief". The Miscellany News. Retrieved March 25, 2015. ^ Manian, Shruti (April 28, 2011). "Founder's Day bands to include array of students, alums". The Miscellany News. Retrieved February 13, 2015. ^ Kohl, Samantha (April 30, 2014). "Founder's Day headliner balances college and EDM". The Miscellany News. Retrieved March 25, 2015. ^ a b Gopalakrishnan, Sasha (September 14, 2016). "A Cappella Preview Concert showcases campus voices". The Miscellany News. Archived from the original on December 23, 2016. Retrieved January 10, 2017. ^ Buchsbaum, Adam (March 29, 2012). "Night Owls migrate south for break". The Miscellany News. Retrieved January 10, 2017. ^ Davis, Carol Ann (April 6, 1990). "On The Road With The Accidentals: Adventure Below The Mason-Dixon Line". The Miscellany News. Retrieved January 10, 2017. ^ Sullivan, Robert (May 1, 2015). "'Pitch Perfect' in Real Life". The New Yorker. Archived from the original on May 20, 2016. Retrieved January 10, 2017. ^ a b Stein, Matt (May 4, 2016). "Seniors reflect on theatre community, past experiences". The Miscellany News. Archived from the original on December 23, 2016. Retrieved January 8, 2017. ^ Rosenthal, Emma (November 12, 2014). "Britomartis creates novel pastiche". The Miscellany News. Archived from the original on February 20, 2016. Retrieved November 28, 2014. ^ Barron, Jessica (February 25, 1994). "Understanding Life in HEL". The Miscellany News. Retrieved January 8, 2017. ^ "Miscellany News 15 September 2000 — Vassar Newspaper Archive". newspaperarchives.vassar.edu. ^ Sarrigeorgiou, Alexandra (February 4, 2010). "Limit revels in sketch comedy, varies media". The Miscellany News. Retrieved January 8, 2017. ^ Wang, Yifan (September 23, 2015). "Indecent Exposure to introduce its new members". The Miscellany News. Archived from the original on December 22, 2016. Retrieved January 8, 2017. ^ Lorenzsonn, Erik (December 9, 2010). "Stand-up finds a home on campus in Comedynormative". The Miscellany News. Retrieved January 8, 2017. ^ Yang, Andrea (December 7, 2016). "VCVI splits sides at finale". The Miscellany News. Archived from the original on December 22, 2016. Retrieved January 8, 2017. ^ Kohl, Samantha (April 2, 2014). "Improv group traverses spectrum of comedic material". The Miscellany News. Archived from the original on December 23, 2016. Retrieved January 8, 2017. ^ Stein, Matt (February 24, 2016). "HEL show uses collective approach to create sketches". The Miscellany News. Archived from the original on December 23, 2016. Retrieved January 8, 2017. ^ "Vassar Greens". Vassar Greens. Vassar College. Retrieved March 25, 2015. ^ Stein, Matt (April 12, 2017). "Org spotlight: VCTV encourages hands-on production". The Miscellany News. Archived from the original on February 5, 2018. Retrieved February 9, 2018. ^ Farkas, Brian (March 30, 2009). "Covering the Campus: A History of The Miscellany News at Vassar College". The Miscellany News. Retrieved October 19, 2017. ^ "Squirm Mission Statement". Organizations. Vassar Student Association. Retrieved November 1, 2011. ^ Stanford, Claire (February 20, 2004). "Exposed". Yale Daily News. Archived from the original on February 13, 2011. Retrieved November 1, 2010. ^ "Mission Statement". Boilerplate Magazine. Retrieved March 25, 2015. ^ Morris, Catherine (December 11, 2014). "Vassar College Students Protest as National, Campus Issues Mount". Diverse: Issues In Higher Education. Retrieved March 25, 2015. ^ "VSA passes BDS Resolution, fails BDS Amendment – The Miscellany News". miscellanynews.org. ^ "Vassar College student government passes BDS resolution - Jewish Telegraphic Agency". www.jta.org. ^ KOLBERT, MATTHEW. "Evaluating BDS in aftermath of referenda – The Miscellany News". miscellanynews.org. ^ "Vassar Grinds Out Brilliant Title Run". FloRugby. Retrieved 4 December 2018. ^ "Men's Volleyball Captures Fifth National Championship With 3-0 Win Over Vassar". Springfield College Pride. Springfield College. April 12, 2008. Archived from the original on September 26, 2008. Retrieved March 25, 2015. ^ "Vassar College and Hudson Valley to host East Coast's largest collegiate cycling championships. April 28–29, 2007" (Press release). Vassar College Office of Communications. April 16, 2007. Archived from the original on May 1, 2007. Retrieved March 25, 2015. ^ Cramer, Ruby (November 9, 2009). "Crew to transition to club team over next two years". The Miscellany News. Archived from the original on November 13, 2009. Retrieved February 5, 2015. Horowitz, Helen Lefkowitz (1993). Alma mater: design and experience in the women's colleges from their nineteenth-century beginnings to the 1930s (2nd ed.). Amherst, MA: University of Massachuchusetts Press. ISBN 0-87023-869-8. Wikimedia Commons has media related to Vassar College. Wikisource has the text of the 1911 Encyclopædia Britannica article Vassar College. Drone, Eaton S. (1879). "Vassar College" . The American Cyclopædia.